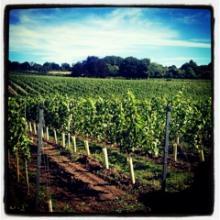 To celebrate English Wine Week Albury Organic Vineyard is holding a day of tours and tastings on Monday 26th May. Nestled in the Surrey Hills, check out one of England's newest vineyards, the home of rosé served to royalty back in the Jubilee year. Head to the glamour of Brighton's Mayor's Parlour for a tea with a difference. The Mayor of Brighton, Councillor Denise Cobb, is opening the doors of the room normally reserved for receiving dignitaries, for a festive tea to raise money for her chosen charities in 2013, including the Argus Appeal, Age UK, The Martlets Hospice, Off The Fence, and Rockinghorse Children’s Charity. Forget the sherry, Santa at Hush Heath is opening up the Balfour Brut for whoever makes it to their Festive Fizz weekends. For two long weekends, the tours will be free – see times below – and there's a glass of pink fizz to sip with your mince pie. What better way to celebrate the arrival of a much-cherished newcomer than with an Open Day? 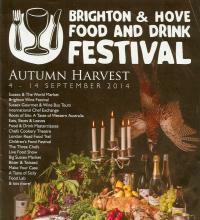 How about one which is in aid of MOVE, the charity dedicated to Hampshire's critically disabled youngters. 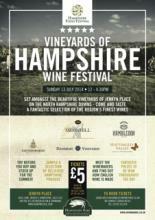 Hattingley Valley is launched its long awaited 2011 vintage – a tasty, elegant number – with wine tours, vintage car displays, sheep races and much more. Perhaps it's because of its seafaring nature, Portsmouth isn't short of a fine pub or two. 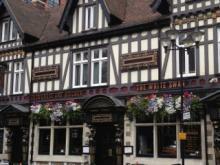 So The White Swan in its previous Wetherspoon guise was one of several fine hostelries. Now it's gone one step better though – it's installed a gleaming brewkit, centre-stage, right by the door as you go in. What's more, not only can you watch the brewers at work, headed by talented Mark Wainwright, you can join in. Next time you are in, ask about the B&K Brewery Day Experience.